Welcome to Norwich Osteopathic Clinic. We believe that physical problems respond best to physical treatment. Our mission is to provide the most appropriate physical therapy for your problem. We also want to make getting treatment easy and accessible; so we have ample car parking, offer free screening and are registered with all major healthcare providers. 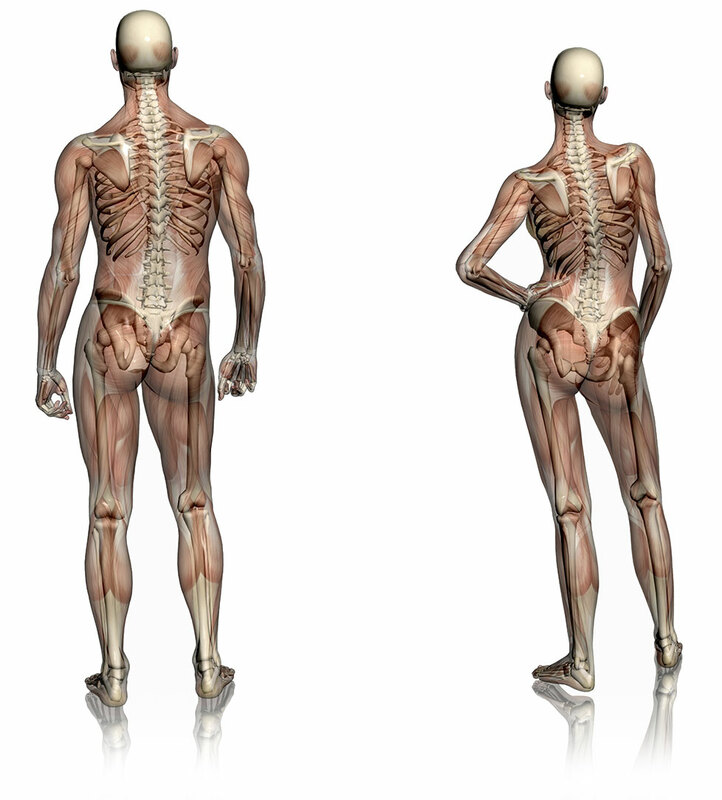 Explore the human body below to highlight some of the problems we can help with. Norwich Osteopathic Clinic was founded in 2008. Since then it has grown to become an award winning centre of excellence, providing safe and effective treatments for patients in Norwich, Norfolk and beyond. We are hands-on: If you're finding that painkillers are not solving your mechanical problem then we can help. We offer a hands-on approach in nearly all cases to address the problem itself, rather than just the pain. We can treat complex cases: We are a multidisciplinary clinic with practitioners specialist in their area. These practitioners can (when appropriate) team up and work together on a case in-house. This multidisciplinary approach enables us to be more effective in treating a wide range of musculoskeletal conditions from simple problems like tennis elbow or foot calluses right through to complex problems like chronic low back pain or recurrent sports injuries. We offer real value for money: Treatments often combine several techniques in one session rather than just manipulation, and to do this we have longer treatment times compared with than many similar local clinics. We really aspire to keeping our patients better: We don't want to keep you coming back for treatment unnecessarily. We want to get you better and then keep you better! To do this we educate and engage each patient in their own rehabilitation with exercises, lifestyle advice, workstation changes to name a few. Our customer service is award winning. We have won the WhatClinic? Customer Service Award in both 2016 and 2017 as voted by our patients. Less than 2% of clinics achieve this. We offer an integrated range of hands-on therapies to treat a wide range of musculoskeletal problems. Find out how we can help you! 01603 504508.